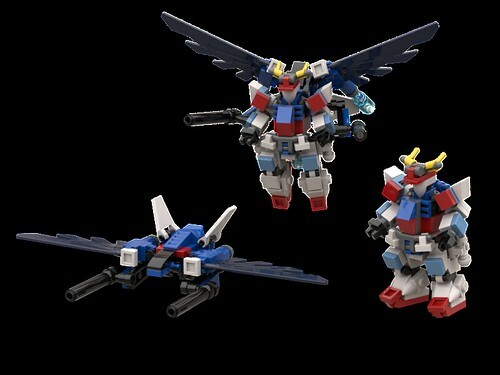 The Blue Falcon is a Flight Support Unit (FSU) that is compatible with most Chub(dam)s depending on the frame's configuration, and is also a viable weapons platform in its own right. 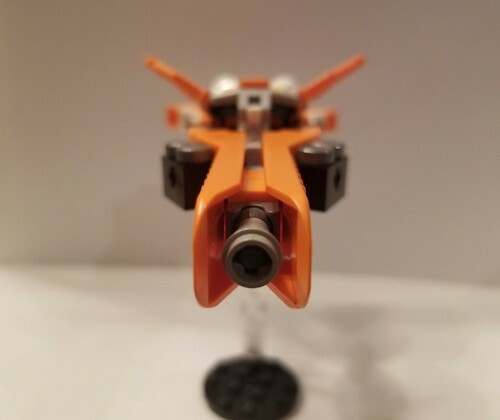 Designed to operate as a dedicated air-to-ground asset, the Falcon is equipped with cannons heavy enough to pierce any enemy frames on the battleground. 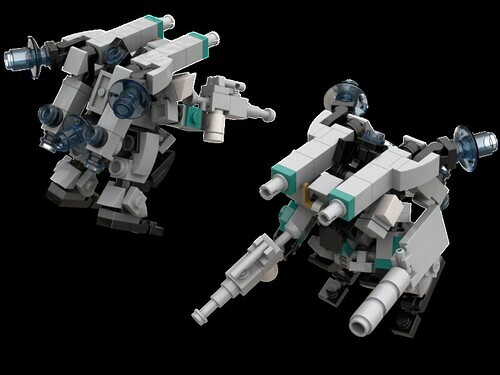 While the anti-frame loadout prevents the Falcon from dealing with air threats effectively (the cannons being ideal for slower less maneuverable targets such as frames, tanks, and other such hardened vehicles) its more than capable of avoiding enemy fire despite the weight of the cannons. 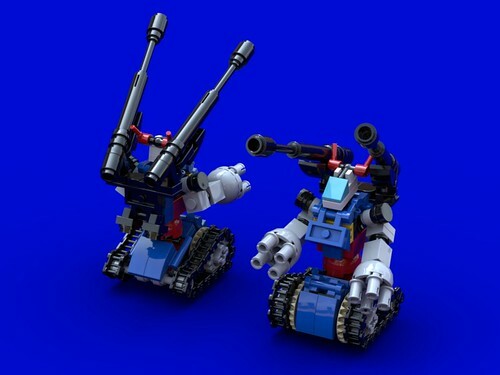 In emergency situations, the Blue Falcon can dump the cannons and use its docking arms as impromptu melee weapons to grapple and batter opponents. 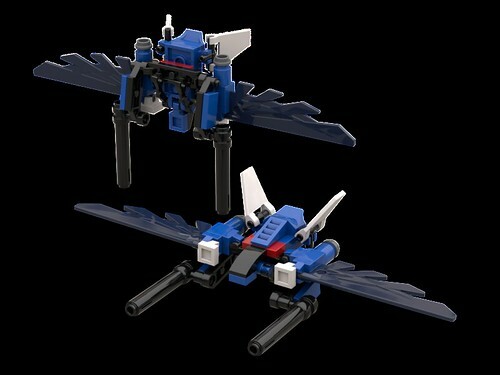 The Blue Falcon is particularly capable as a FSU when attached to the True Strike Chubdam custom, as the frame's jump pack is designed to lower and incorporate the Blue Falcon in such a way that allows the jump pack to add its jets to the Falcon's thrust. 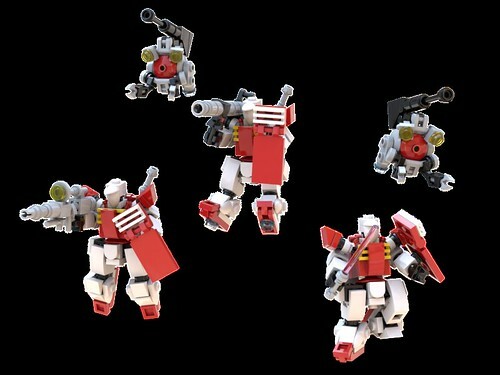 Technically any frame with the standard Strike style jump pack can better accommodate this FSU, however the True Strike custom includes minor armor reduction (lighter load), improved shock absorbers in the knees (for landing with the additional weight), and waist mounted plasma edges (normally the Strike Chubdam's plasma edges are stored on the Agile Flight pack which lacks the independent operation capabilities of a true FSU) to better complement the Blue Falcon. Your ability to constantly improve the Chubdam is impressive to watch! SuspendedAnimation wrote: Your ability to constantly improve the Chubdam is impressive to watch! Its a sssslow process, but thank you! 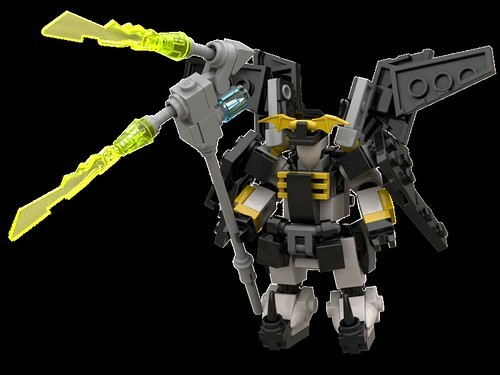 Chubdam Styx's Dark Angel upgrade, based on the Gundam Deathscythe Hell. Extra plasma edge and rocket assist on the totally redone plasma edge scythe, Dark Tidings adjustable defensive armor system, and various tweaks to armor and parts usage. 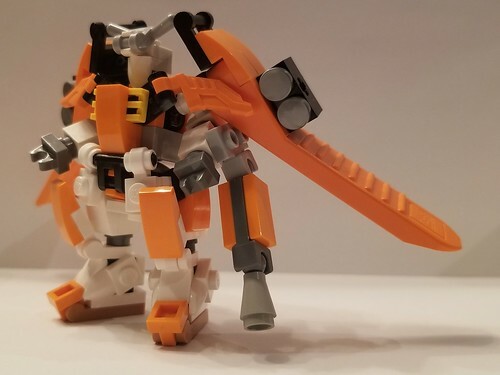 For some silly reason Stud.io doesn't have the proper sword piece for the Styx's beam scythe, so this is a stand in for now. That shroud system is even more elegant than the Duelist, no small feat, you just keep getting better and better! VitorFaria wrote: That shroud system is even more elegant than the Duelist, no small feat, you just keep getting better and better! Speaking of the Duelist, here's his full armor. Funny enough the Dark Angel upgrade borrows from the Duelist revamp from a few weeks ago, and comes back full circle now. In fact it works slightly better for the Duelist as its simple rotation to adjust the armor, whereas the Styx requires a rotation and a small adjustment between positions to pull it off. Love this thread. 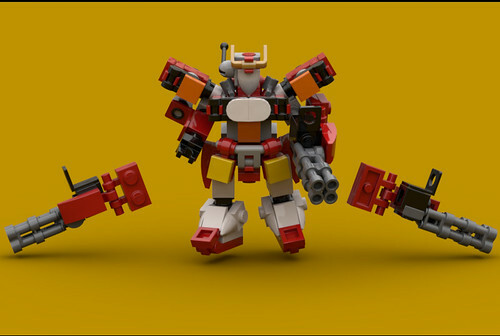 So many great builds, yet all cohesive, and they just keep getting better! Been a while since I've done some fluff... keep meaning to reorganize the history of the Chubdam's development and its interwoven story with the civil war of Colonia II. Ah well, one day! 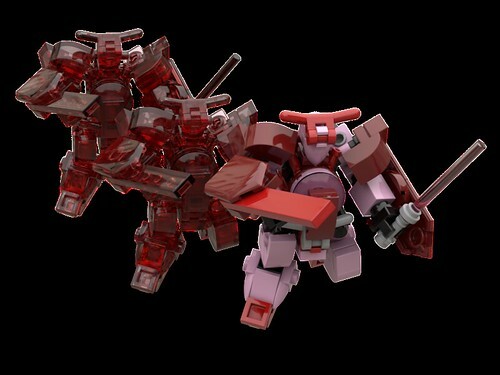 Chubdam Mass Production type GZ Ricasth. A cost effective compromise between a Chubdam and its Chub origins, the Ricasth seeks to adapt the functional updates of the Chubdam design while forgoing its more expensive features. The Ricasth seen here is purpose equipped for defending the space docks and support infrastructure of Dramstellar's GZ Shipyards around Colonia I, although a detachment has been observed deployed for overwatch duty of the megacorp's orbital interests above the semi-autonomous joint venture of Colonia II. 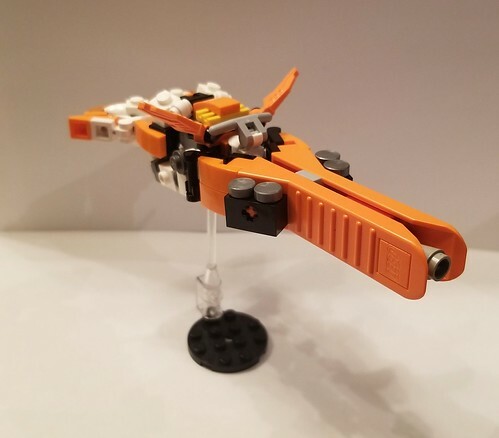 This Ricasth is notably outfitted with an oversized, rotatable jump pack that not only vastly increases the frame's ability to rapidly navigate through and around sprawling space docks due to its 8 maneuver jets, but also has a considerable fuel supply as well. The Ricasth operating time is arguably longer than that of its pilot, and in fact during times of prolonged alert status pilots are known to run alarms tied to the frame's threat system while they grab some beauty rest. Just stop, Ryan. you're building perfect homages faster than I can compliment them properly! I can't stress how much I love this one enough. 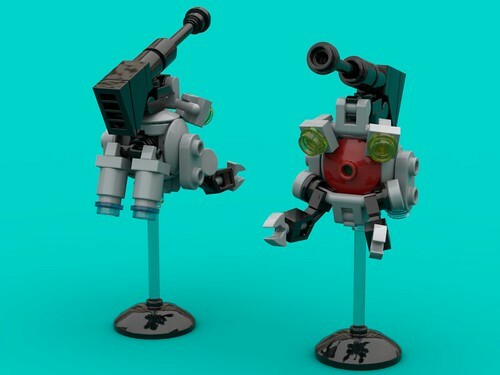 The fact that most of the build isn't all that more complicated or expensive than a base Chub is the icing on the cake! 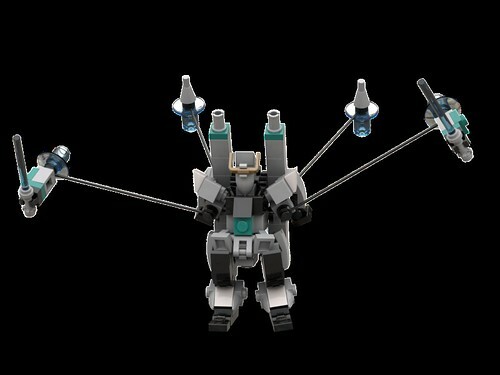 With a few changes, like omitting the padlocks and 1x1 minifig backpack/bracket, I could field a full company of those. And I'm seriously considering it! VitorFaria wrote: Just stop, Ryan. you're building perfect homages faster than I can compliment them properly! Do it! And then share! 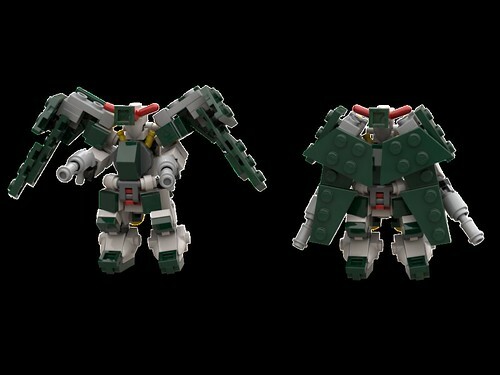 Inspired by the new Lego D. Va preview and Vitor Faria encouraging me to simplify the armaments of the Chubdams, I did a thing. I feel forced to repeat myself. 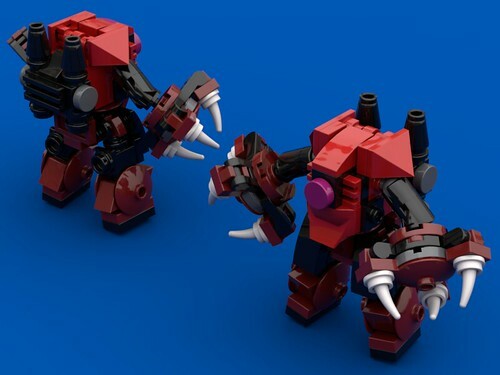 Chubdam Arkengoth, based on the Silver Bullet mobile suit from Gundam: Unicorn. Instead of proper INCOM style bodies, I went with a Bit style body instead because I've been meaning forever to use the ice cream cones as Bits. Chubdam Chevalion, Try 3. 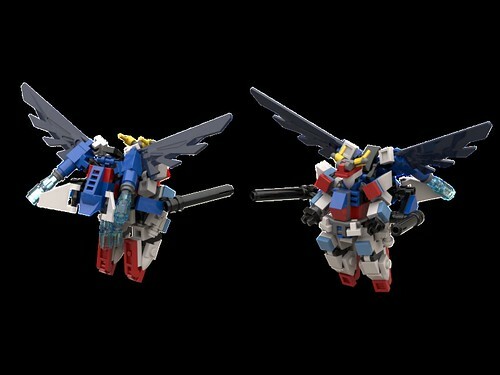 Been revamping the Sinstrals off and on since I started revisiting the Gundam Wing inspired frames. Its funny how one lil adjustment can cause a cascade of going back to many previous frames to make the same update, which in turn encourages further tweaking with each individual. Anyway, the Chevalion is only my, I believe, second transforming frame besides the Roc, and it took 3 tries to get the transformation mechanic down! 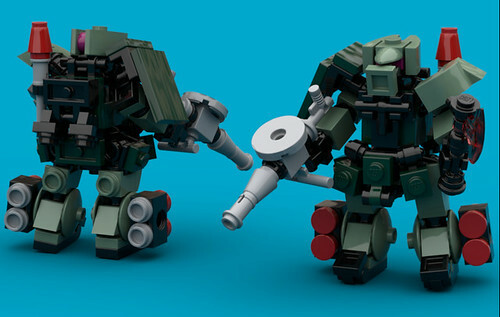 With the release of the new lil Star Wars Dewback set, finally the last sandgreen brick exists for this design! Loadout is obvious a bit over the top with SSRs, but wanted to see what it would look like fully loaded. 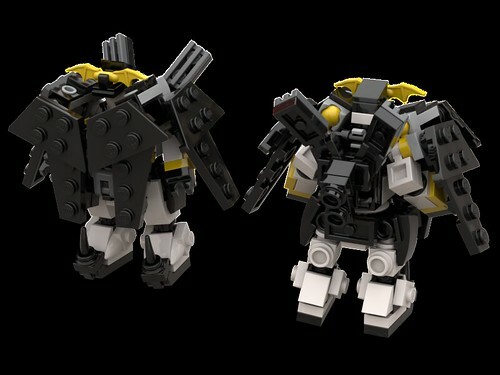 High capacity light machine gun, fusion edge combat hatchet (credit to KarolineDianne), leg mounted missil pods, hand launchable rpg, shoulder shield, and jump pack. Excellent skirting and shoulders, clean and nicely proportioned! 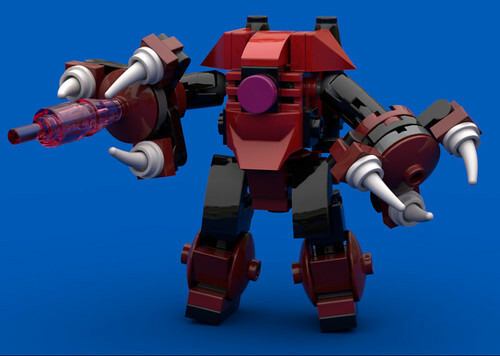 Super loved Vitor's Zoghbi, so I tried my hand at it with more of a focus on the Z'gok source; the Zogbhi Reddi. 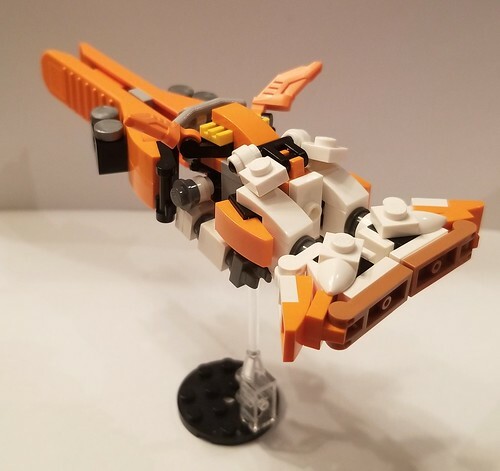 Originally I had used the smaller scale steering wheel for the base of the hands, but I didn't realize the clips wouldn't fit (I'm not 100% sure they wouldn't, but Stud.io doesn't think they should). I had the Chubdam style longer feet at first as well, but the normal Chub ones fit the aesthetic so much better. 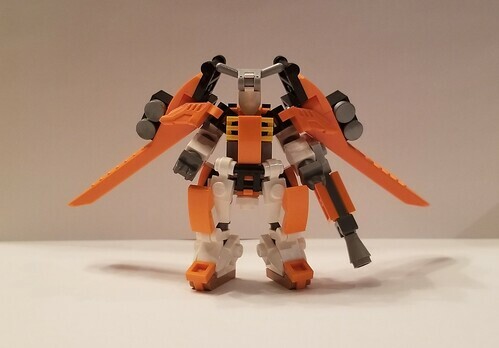 I love how you made the torso from scratch while keeping most of the aesthetics, really nice! Also, nice reminder that, oddly enough, those old tubes are Mixel joint compatible! VitorFaria wrote: Also, nice reminder that, oddly enough, those old tubes are Mixel joint compatible! Now that is an interesting point! I'll have to explore that later. Really on a roll today. Resigned and updated the Moai, based on the Ball from Mobile Suit Gundam. Once that was done, designed to throw together a little scene of a traditional squad from the One Year War. 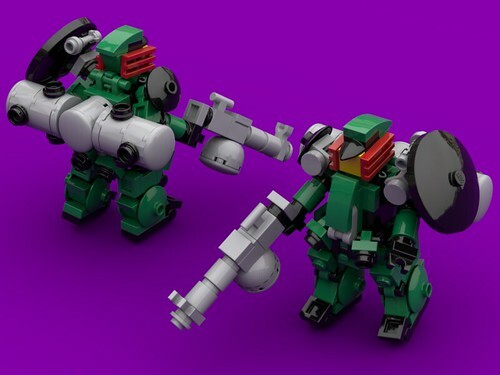 Would actually make for a nice MFZ company at that! 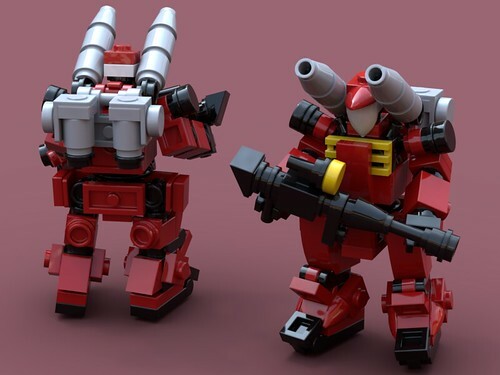 That Guncannon is simply gorgeous! 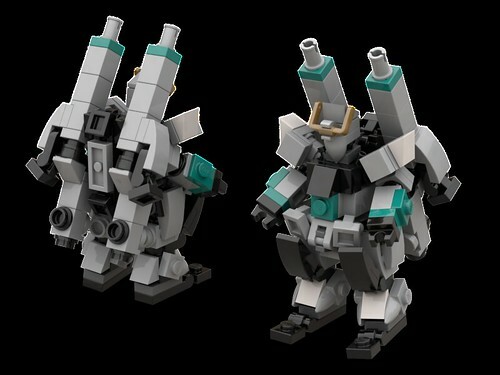 Amazing how perfect you got the proportions on everything, even on rather difficult parts, like the separation between the cannons and the head, the head and the cannons themselves and even the armor bulk!